Honda’s new North American research and development chief is out to reinvent the brand through its racing heritage. Honda Motor Company knows it can’t remain where they are and remain competitive in the new global automotive market. Even though the Japanese company is the only major automaker to have never had an annual loss, they know they have lost their former reputation of having cars that are innovative, sporty and fun to drive. If they don’t change quickly, they will slowly begin to die. Honda plans to win back its reputation for innovative cars in the face of improving Korean, U.S. and German competition as well as recent critical reviews. In order to accomplish the goal of bringing back the mojo that Honda had in the 80’s, they have appointed 30 year Honda veteran Erik Berkman, to be chief of Honda’s North American R&D team. Honda is feeling the pressure from the South Koreans who have been gaining ground steadily over the past few years. Even though Honda's U.S. sales in 2007 more than doubled the combined U.S. deliveries of Hyundai Motor Co. and sister company Kia Motors Corp., the Koreans came within 1 percent of Honda last year. And the Accord which was the best-selling car in the U.S. in 2001, has been overtaken by Toyota’s Camry every year since then. According to Automotive News, Tetsuo Iwamura, Executive Vice President of Honda North American says "What we expect him (Berkman) to do is, through this good knowledge and experience, fulfill his dream of making North America strong." Honda executives are counting on the new R&D chief to do big things. Berkman has a long history in racing and knows the company will need to get back to its motor sports passion. The engine designed by a team led by Berkman, won the Indianapolis 500 last month. Founder Soichiro Honda, said, "If Honda does not race, there is no Honda" And Berkman may be just the right man for the job. Honda has deep roots in racing and Berkman will need to draw from that racing history to improve the struggling brand. Berkman has a 30-year history with Honda and has many major successes on his resume, He worked on the 1999 Honda Odyssey and 2001 Acura CL, his team designed the multiple-Indy 500-winning engine, and he led the development of the 2004 Acura TL sport sedan. The car was a major feather in Berkman’s cap whose sales repaid his commitment and was a huge financial success for Honda. Honda’s reputation has suffered greatly the last few years and the company needs to move quickly to regain their lost status. "Honda is off the rails; they still build a great car, but they aren't leaders," said John Wolkonowicz, an independent analyst in Boston who specializes in automotive history. "In the '80s Honda, had the best cars on the market. They drove the best, had great fuel economy and people really loved them." We should see new technology and innovative cars coming out of Honda in the future as Berkman takes the lead in the R&D department. Honda President Takanobu Ito, who worked with Berkman at the U.S. R&D center in the 1990s, and Executive Vice President Tetsuo Iwamura, head of North American operations, have high expectations for him. Iwamura said, "He's planning changes in styling, materials, driving dynamics and technology across the Honda and Acura model lines." If Berkman brings his racing knowledge to his new position, there could be some exciting new things coming out of Honda in the next decade. And the new R&D chief said he is out to restore Honda’s image to its former glory. "We want everybody to fall over and go: There it is again. There's that Honda we used to praise." It will be interesting to see what new innovative sporty models come out of Honda in the near future. 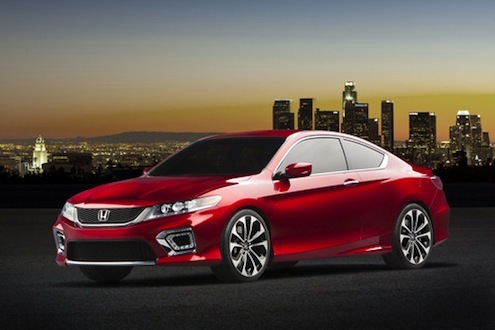 if you want to win back the game you should take a close look at whats hot in the honda game. 92-00 civics. people love that body. i suggest similar body with new guts. example motor upgrades like ur k20z1 n all ur new interior options. people love the lighwieght sporty lookin hondas. your new ones are simply gaudy n overweight.